Mikhail Tereshchenko, the son of a wealthy sugar factory owner, was born on 18th March, 1886. He studied at Kiev University and Leipzig University and in 1910 he joined the Freemasons. Other prominent members included (Alexander Konovalov, Alexander Kerensky and Nikolai Nekrasov). Tsar Nicholas II was an autocratic ruler. His Chief Minister, Sergi Witte, suggested that he carried out a program of reforms. He eventually agreed and published the October Manifesto. This granted freedom of conscience, speech, meeting and association. He also promised that in future people would not be imprisoned without trial. Finally he announced that no law would become operative without the approval of a new organization called the Duma. However, whenever it disagreed with him he closed it down. Witte was eventually replaced by Peter Stolypin, who made changes to the electoral law. This excluded national minorities and dramatically reduced the number of people who could vote in Poland, Siberia, the Caucasus and in Central Asia. The new electoral law also gave better representation to the nobility and gave greater power to the large landowners to the detriment of the peasants. Changes were also made to the voting in towns and now those owning their own homes elected over half the urban deputies. It was under this new format that Tereshchenko was elected to the Duma as a representative of the Russian Progressive Party in 1912. The reactionaries and the nationalists were still in the majority but there was a significant increase in the number of radicals (Socialist-Revolutionaries, Mensheviks, Bolsheviks). The outbreak of the First World War caused great conflict in the Duma between those who opposed or supported the war effort. In 1914 the Russian Army was the largest army in the world. However, Russia's poor roads and railways made the effective deployment of these soldiers difficult. By December, 1914, the army had 6,553,000 men. However, they only had 4,652,000 rifles. Untrained troops were ordered into battle without adequate arms or ammunition. In 1915 Russia suffered over 2 million casualties and lost Kurland, Lithuania and much of Belorussia. Agricultural production slumped and civilians had to endure serious food shortages. In September 1915, Tsar Nicholas II replaced Grand Duke Nikolai as supreme commander of the Russian Army fighting on the Eastern Front. This failed to change the fortunes of the armed forces and by the end of the year there were conscription riots in several cities. He ordered an offensive led by General Alexei Brusilov, commander of the Russian Army in the South West. When the offensive was called to a halt in the autumn of 1916, the Russian Army had lost almost a million men. During the war Tereshchenko he helped organize the Red Cross hospitals. In 1915 he became the chairman of the Military Industry Committee of the Kiev district and deputy chairman of the All-Russian Military Industry Committee. Although he gave loyal support to the government during this period, other members of the Duma were highly critical of the government. On 26th February Nicholas II ordered the Duma to close down. Members refused and they continued to meet and discuss what they should do. Michael Rodzianko, President of the Duma, sent a telegram to the Tsar suggesting that he appoint a new government led by someone who had the confidence of the people. When the Tsar did not reply, the Duma nominated a Provisional Government headed by Prince George Lvov. Mikhail Tereshchenko was asked to become Finance Minister. Other ministers included Pavel Milyukov (Foreign Minister), Alexander Guchkov (Minister of War), Alexander Kerensky (Minister of Justice), Alexander Konovalov (Minister of Trade and Industry) and Peter Struve (Ministry of Foreign Affairs). On 5th May, Pavel Milyukov and Alexander Guchkov, the two most conservative members of the Provisional Government, were forced to resign. Milyukov was replaced by Tereshchenko and Guchkov was now replaced as Minister of War by Alexander Kerensky. He toured the Eastern Front where he made a series of emotional speeches where he appealed to the troops to continue fighting. On 18th June, Kerensky announced a new war offensive. Encouraged by the Bolsheviks, who favoured peace negotiations, there were demonstrations against Kerensky in Petrograd. Tereshchenko continued Milyukov's foreign policy course, which led to his conflict with opponents of Russia's participation in the First World War. Kerensky was also unwilling to end the war. In fact, soon after taking office, he announced a new summer offensive. Soldiers on the Eastern Front were dismayed at the news and regiments began to refuse to move to the front line. There was a rapid increase in the number of men deserting and by the autumn of 1917 an estimated 2 million men had unofficially left the army. Some of these soldiers returned to their homes and used their weapons to seize land from the nobility. Manor houses were burnt down and in some cases wealthy landowners were murdered. Kerensky and the Provisional Government issued warnings but were powerless to stop the redistribution of land in the countryside. After the failure of the July Offensive on the Eastern Front, Kerensky replaced General Alexei Brusilov with General Lavr Kornilov, as Supreme Commander of the Russian Army. The two men soon clashed about military policy. Kornilov wanted Kerensky to restore the death-penalty for soldiers and to militarize the factories. On 7th September, Kornilov demanded the resignation of the Cabinet and the surrender of all military and civil authority to the Commander in Chief. Kerensky responded by dismissing Kornilov from office and ordering him back to Petrograd. Kornilov now sent troops under the leadership of General Krymov to take control of Petrograd. Kerensky was now in danger and so he called on the Soviets and the Red Guards to protect Petrograd. The Bolsheviks, who controlled these organizations, agreed to this request, but in a speech made by their leader, Lenin, he made clear they would be fighting against Kornilov rather than for Kerensky. Within a few days Bolsheviks had enlisted 25,000 armed recruits to defend Petrograd. While they dug trenches and fortified the city, delegations of soldiers were sent out to talk to the advancing troops. Meetings were held and Kornilov's troops decided to refuse to attack Petrograd. General Krymov committed suicide and Kornilov was arrested and taken into custody. Alexander Kerensky now became the new Supreme Commander of the Russian Army. His continued support for the war effort made him unpopular in Russia and on 8th October, Kerensky attempted to recover his left-wing support by forming a new coalition that included more Mensheviks and Socialist Revolutionaries. However, with the Bolsheviks controlling the Soviets, and now able to call on 25,000 armed militia, Kerensky was unable to reassert his authority. Robert V. Daniels, the author of Red October: The Bolshevik Revolution of 1917 (1967) has argued: "There is a great deal of evidence that the conservatives desired, if they did not actually plan, an authoritarian solution to Russia's revolutionary crisis. Both Milyukov outside the cabinet and Tereshchenko within it told representatives of the Allied governments that they favored a conservative coup. There was talk of enlisting the former Commander in Chief General Brusilov to lead such a move." Tereshchenko was arrested in the Winter Palace with other ministers of the Provisional Government and placed into the Peter and Paul Fortress. In the spring of 1918, he moved to Norway. He eventually settled in France where he urged allied invasion of Russia. 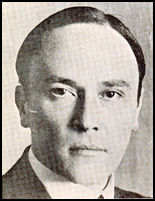 Mikhail Tereshchenko died in Monaco on 1st April, 1956. There is a great deal of evidence that the conservatives desired, if they did not actually plan, an authoritarian solution to Russia's revolutionary crisis. Both Milyukov outside the cabinet and Tereshchenko within it told representatives of the Allied governments that they favored a conservative coup. There was talk of enlisting the former Commander in Chief General Brusilov to lead such a move.